Elcortez Hotel and Casino is a 3.5 star hotel one block off the Fremont Street Experience. 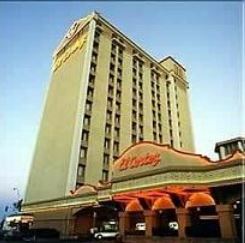 It is a very nice hotel and casino and the rooms are all new and modern. The Hotel is second only to the Golden Nugget but the problem is the one block walk to the Fremont Street Experience is risky at night or alone during the day. It is better than it used to be but I do not recommend walking this block alone.